The Pro Vaporizer E Cig by Logic is an innovative vaping system that utilizes unique, pre-filled 'capsules' that make for an easy, mess-free way to refill your e-cigarette. The capsules each contain 1.5ml of e-liquid and a coil - once it's used up simply swap out the old capsule for a new one. The capsules are available in 4 great flavours; tobacco, menthol, vanilla and cherry. 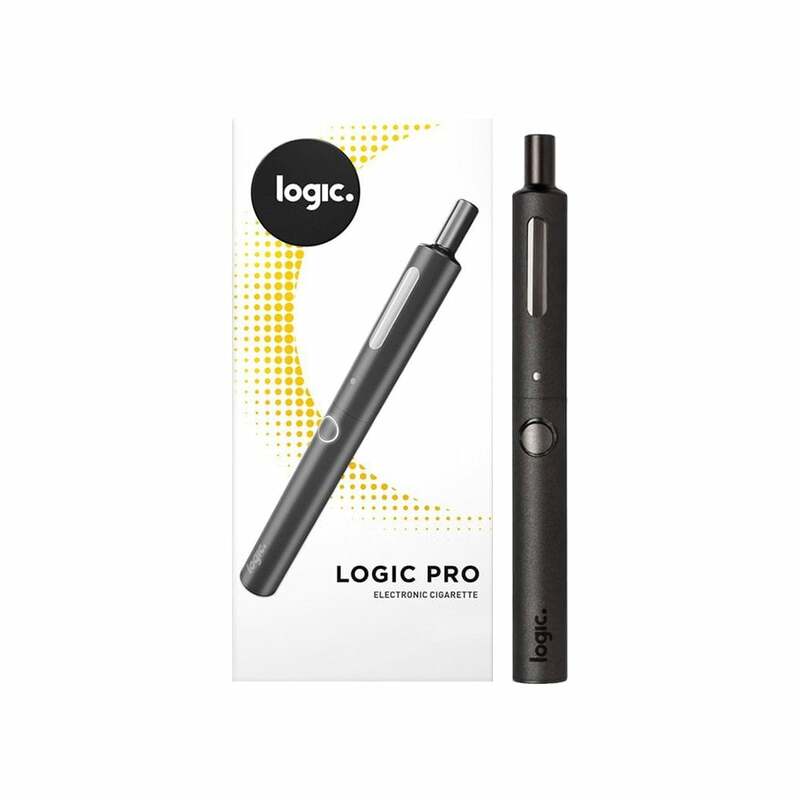 If you're a first-timer curious to know what vaping is all about and want something simple and reliable, the Logic Pro Vape Pen Kit is a great choice. To charge your Pro vape pen, simply unscrew the top 'tank' part from the battery and screw the supplied USB charger onto the battery. Plug the USB connector into a standard USB port or USB wall adapter. Changing the capsule in your Logic Pro E Cig couldn't be easier - unscrew the top 'tank' part from the battery and swap the used capsule for a new one. Screw the top back onto the battery and you're ready to go! Note: Compatible Logic 'Pro Capsules' are sold separately. Click here for the Logic refills range. Excellent shipping and delivery speed. Got my order quick and no issues. lONG LASTING, GOOD VALUE, GOOD TASTE.